The Methodist Episcopal Church of Erie, Colo, where G.A Cage and his Bride came Oct 2, 1894 - his first charge." Erie, Colorado was founded in 1866 by Rev. Richard J. Van Valkenberg, a Methodist minister, who named the town in honor of his former home, Erie, Pennsylvania. At the time of Erie’s founding, the Civil War had just ended, Colorado had been recognized as a state for only three years and its gold rush was in full swing. Born in New York in 1823, Van Valkenberg had little formal schooling, but he was studious and by age fourteen had read the entire Bible. He married Cordelia Briggs (daughter of Henry Briggs, president of the Boulder Valley Coal Company) in 1843. Van Valkenberg was licensed to preach by the Methodist Episcopal Church in 1845. Following active duty in the Civil War, he was honorably discharged in 1865 and went west with the gold rush to regain his health. After working in the mines near Central City, Colorado for $4 a day, he settled down in the vicinity of what is now Erie. He built the first frame house in the town he co-founded. 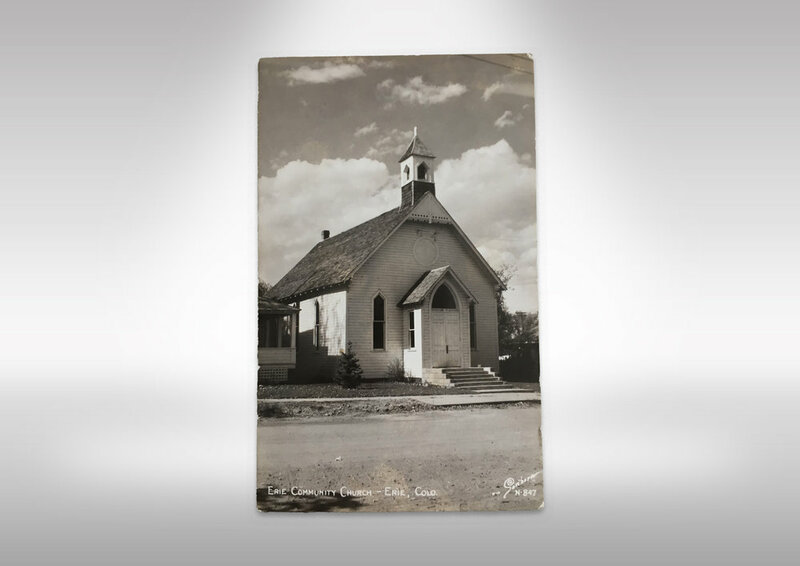 In 1867, after a short stint preaching in Longmont, Van Valkenberg unofficially founded the Methodist church in Erie. It was a very small church initially. In fact, until he could raise the necessary congregation and cash, the church met in the living room of his home. Although he was never formally appointed as the pastor of the Erie Methodist Church, Van Valkenberg was the driving force of Methodism in Erie. Over the years, he also pastored the Boulder, Longmont, Burlington, and Valmont Methodist Congregations. 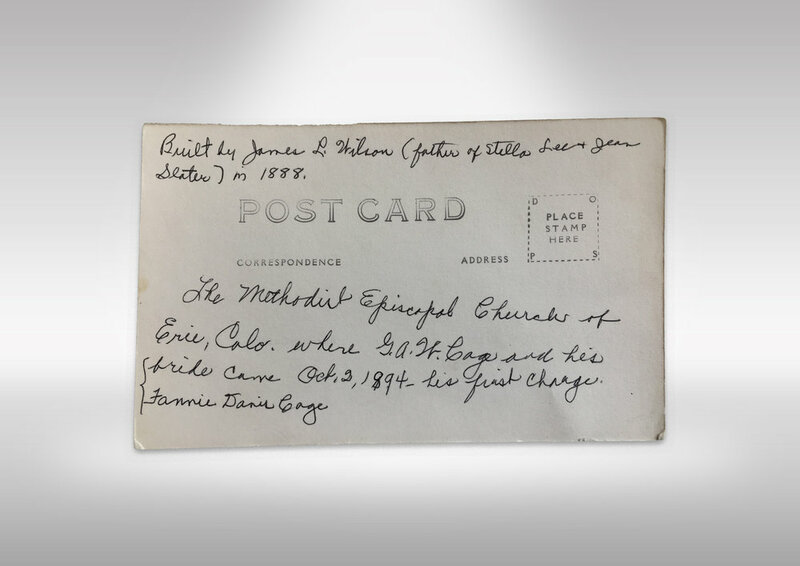 Not one to sit on his laurels, over the years he also served the Erie community as innkeeper, mayor, postmaster, justice of peace, president of the school board, and Representative of Weld County in the 1883 legislature. Five years after its unofficial founding, the Erie Methodist Church was officially founded in 1872, but it was to take this small, hard-working community another sixteen years to get an actual building constructed. During that time, the church met in various places, including “the old rock depot”. The present Methodist Church building was built in 1888 by prominent carpenter, James L. Wilson at a cost of $1,475. Sadly, it’s unknown who created the marvelous stained glass windows which remain virtually unchanged today. From its humble beginnings, fast forward more than a century and visitors can still worship in this beautiful and historic structure. With a maximum capacity of 175 people, the Erie United Methodist Church has a warm and welcoming congregation. While basking in the glow from the original stained glass windows, be sure to read the heartfelt epitaphs written on them, noting the passing of loved ones. 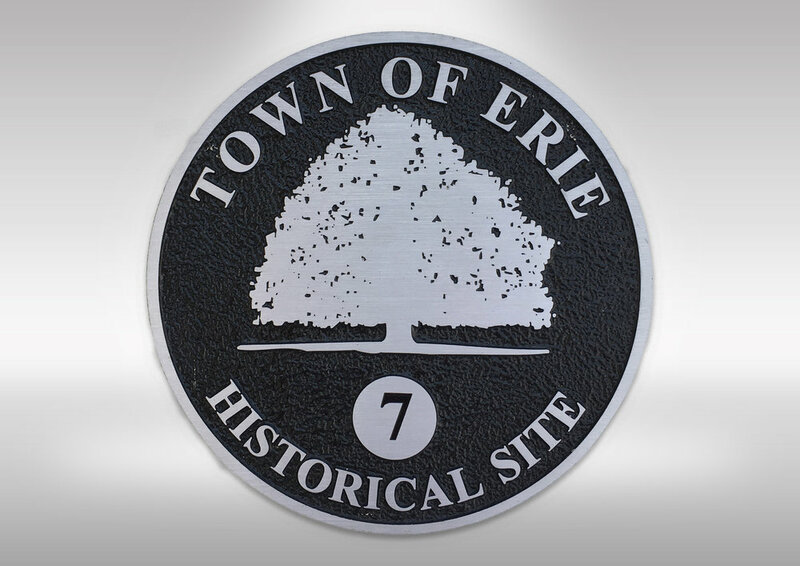 In 2008, the Erie Historic Commission identified the building as a Town of Erie Historic Site. "A History of the Erie United Methodist Church"